Here's a collection of my top favorite, holy grail face products. I have hit pan on the Dolce & Gabbana powder foundation so that says a lot about how much I love this product. 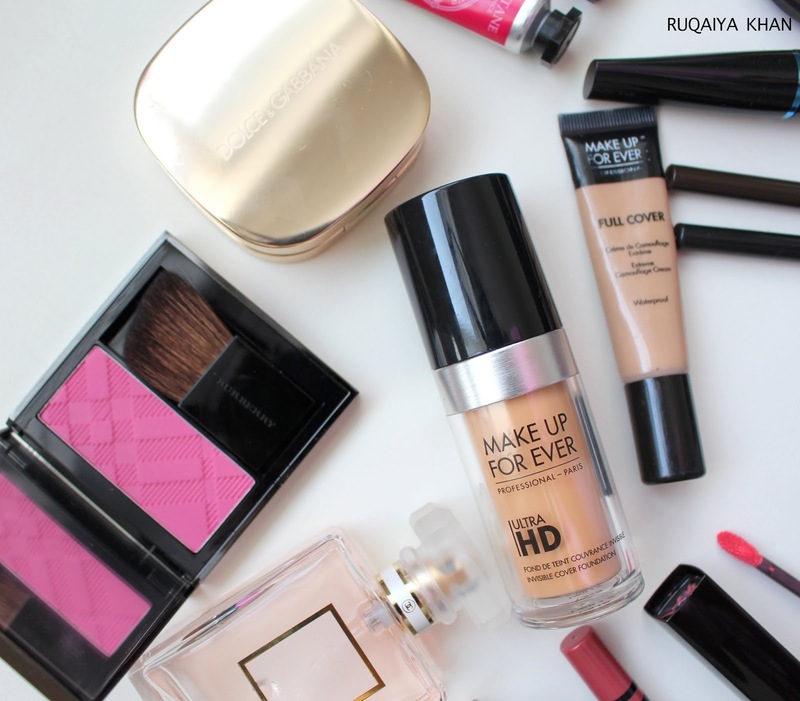 All of these products are perfect in formulation, texture, pigmentation and are so easy to apply. I have loved this powder in 2014 and I am still obsessed with it. It's probably the only powder foundation that does not cake, does not oxidize and lasts all day. I use it over a face cream and it still looks amazing. No primer needed. Read my in depth review. I have seen a new Ultra HD concealer to complement the Ultra HD Foundation and I may be getting that in the next year, because I am almost done with this one. This is the only concealer I used in 2015! I use it on my blemishes, under my eyes and around my nose. It covers everything and it's waterproof, so it does not budge at all. The contour and highlight palette that looks flattering, natural and still makes a statement. I love how I can build it up for night time, or do a light dusting for day time. Its an extremely versatile palette. The texture of these is phenomenal. Do try it out. A velvety, satiny, matte glow blush with a ton of pigment but still easy to blend. Never looks overdone. I am in love with this blush and I use it nonstop! Its very natural looking and a truly luxurious indulgence! 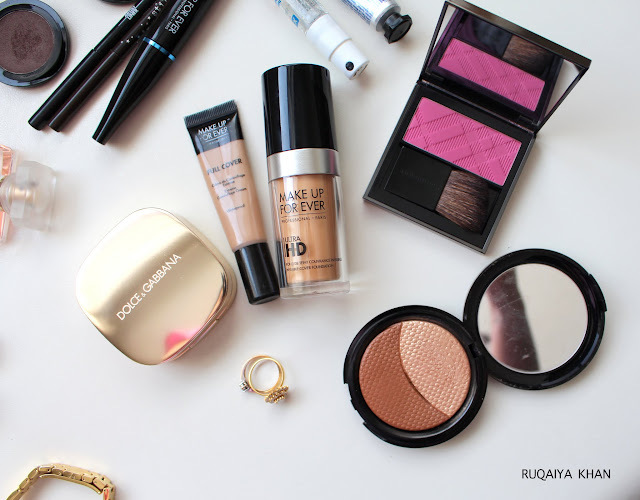 That was a recap of all my favorite makeup products for face. Hope you enjoyed it and don't forget to share your favorites with me!